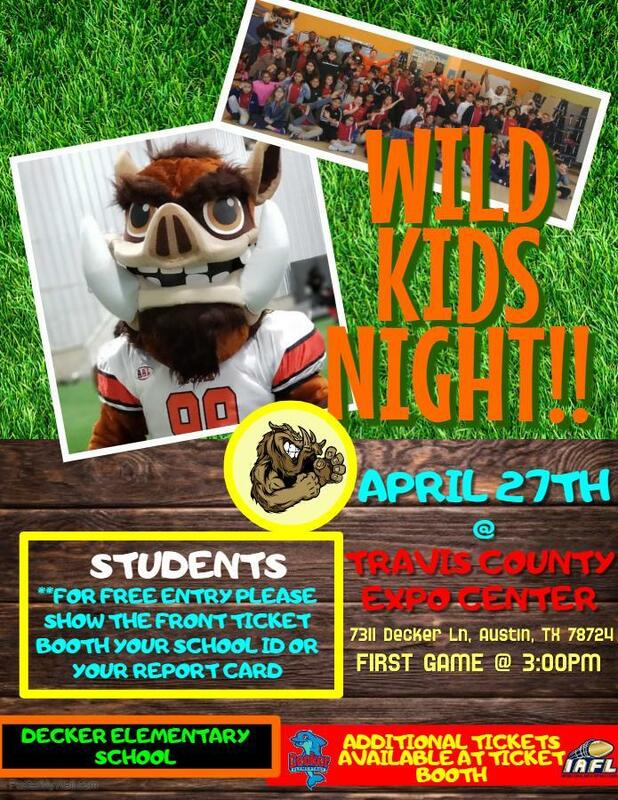 For FREE student tickets, show the front ticket office your school ID or your most recent report card. Austin Wild Football, LLC (formally Cap City Bulls Football, LLC) is a professional arena/indoor football team based in Austin, Texas. Team ownership is made up of four successful partners that have been involved in indoor football since 2007. As players who have been a part of several different professional indoor football teams in Austin, ownership felt the timing was right to produce a team that was solely operated by experienced individuals through collaboration, and create a solid business plan that would establish longevity. The opportunity was vetted and the Cap City Bulls was born. After the 2017 season, the owners changed the team name from Cap City Bulls to the Austin Wild. The Austin Wild's mission is to provide live entertainment, and improve the surrounding communities as a whole through sports entertainment and community events.